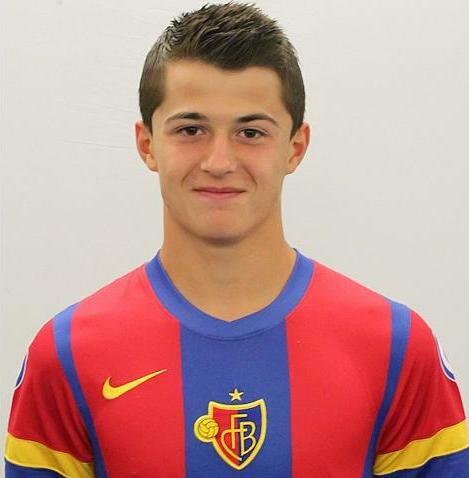 Albian Ajeti comes from a footballing family. His two brothers play for FC Basel – the older one, Arlind, is a first team member, and his twin Adonis is playing for the youth team. Similar to Xherdan Shaqiri, Granit Xhaka, Blerim Dzemaili or Valon Behrami, he comes from Kosovo, but represents Switzerland – although all of them could switch their allegiance with Kosovo becoming an officially recognized FIFA and UEFA member. Albian is a homegrown player of FC Basel and while he did not make his first team debut yet, he is doing very well in the reserves, which play in 1. Liga Promotion, which is a 3rd division in Switzerland. He played in 5 games and scored 1 goal in this year’s UEFA Youth League, but Basel got knocked out already in the group stage. It is worth noting that the represented Switzerland at both U-15 and U-16 levels in the past, while he is currently a U-17 Swiss international.